Hallo! We have been providing NAATI certified German driver’s licence translations in Australia to people with German licences for nearly a decade. We are well aware of the requirements that are needed to drive a car in Australia if you are from Germany. We make translating your German driver’s licence into English a breeze by allowing you to complete the entire process online. We are the only provider that allows you to do this. Our NAAT accredited German translator’s are standing by ready to translate your German driver’s licence into English. Our prices start at AUD $69 for our Regular Service. Can I get the translation of my German driver’s licence urgently? Certainly – we have an “Urgent” option which is within 24 hours (usually same day). Is your German to English licence translation service “NAATI accredited”? Yes, it is. Our German driver’s licence translation service is NAATI certified so the English translation can be used in Australia for official purposes. How can I order my German driver’s licence translation? Our German licence translation service is completely online. All you need to do is follow the instructions on this link. I used the English translation of my German driver’s licence that you provided to rent a car – thank you. I will recommend your tranlation service to my German friends. After arriving in Melbourne, I fell in love with the city. 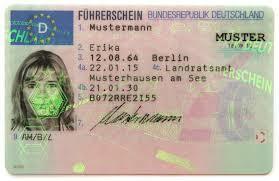 When I decided to stay, I needed to translate my German driver’s licence into English to get a Victorian licence. Your team did it so fast for me. For translation of German driver’s licences into English, our pricing starts at just $69.00 per licence.